The annual vacation was about to end and frustration was building up. The vacation was spent in family affairs and had not been able to ride out. Usual partners in ride were unavailable, so it was a kind of unplanned solo ride to Satara. I had been to Satara 10 years ago. My friend's village is situated at the base of Sajjangad fort and we had spent two weeks there. Unfortunately we both didn't know how to ride so we couldn't travel around. We spent our time walking up on Sajjangad top, socialising with relatives and discussing nerdy things. His cousin was kind and adventurous enough to take both of us pillion and visit Kaas lake. That was the only traveling we did around Satara. Oh and the only technological advancement we had with us was a loaned Pentax SLR! Satara is reachable via NH4 and NH17. Riding to-fro via same route gets boring so as usual I decided to include both roads in the plan. 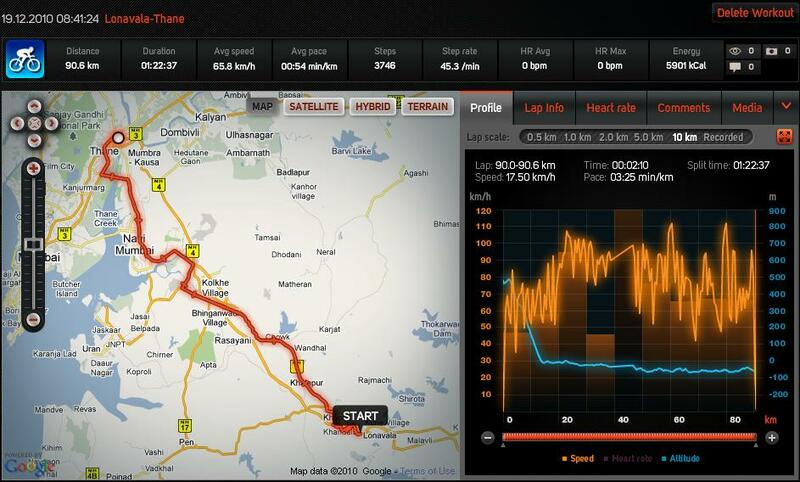 NH17 and NH4 are two different routes - NH4 is still undivided tar road and IMO more fun to ride. NH4 on the other hand, is concrete now after pune and bliss for those who wish to ride on full throttle. Tends to get boring after a while but. I decided to explore Mahabaleshwar-Bamnoli-Kaas-Satara route. The route is available on maps but not much information was available. From Mahabaleshwar you need to ride towards Tapola. There is an indian oil pump and snacks joint next to it after approx 20 kms on this road. Try the misal pav here, Its awesome! 4-5 kms after that you will hit small tar-road diversion for Bamnoli (hotel sagar would be on right). This diversion is not marked. Take left here. Bamnoli is appox 30 kms from here. There is one T junction on the way near a bridge. A rusty signboard indicates Bamnoli. Take right here. You dont have to enter Bamnoli. Continue on the road and you will reach satara tunnel via kaas plateau. It`s another 30kms so total 60 odd km from the Tapola-Bamnoli diversion. Road between Bamnoli and satara is being patched/reworked. There are no pumps on the way but you can get petrol from local shops for a premium price. No major shops/dhabas on the way. And the road is non-existant for about 5 kms. Absolutely no signboards between Tapola-Bamnoli point and nokia gps shows only road (as part of jaoli taluka). Good curves along the road but unusable due to patchwork and gravel. The road is scenic though. Runs on the periphery of Tapola lake for most of the time. In the morning I went on the hill for usual morning photoshoot. Next day went to visit Thoseghar Windmill plateau and Sajjangad top. I had planned to leave Satara by evening but got delayed by 3 hours! Had to ride at night between Satara and Pune. Thanks to HID, the night ride was swift. Slept at Pune at night and Sunday morning was a quick ride back home.